Explore, Learn, Have Fun! 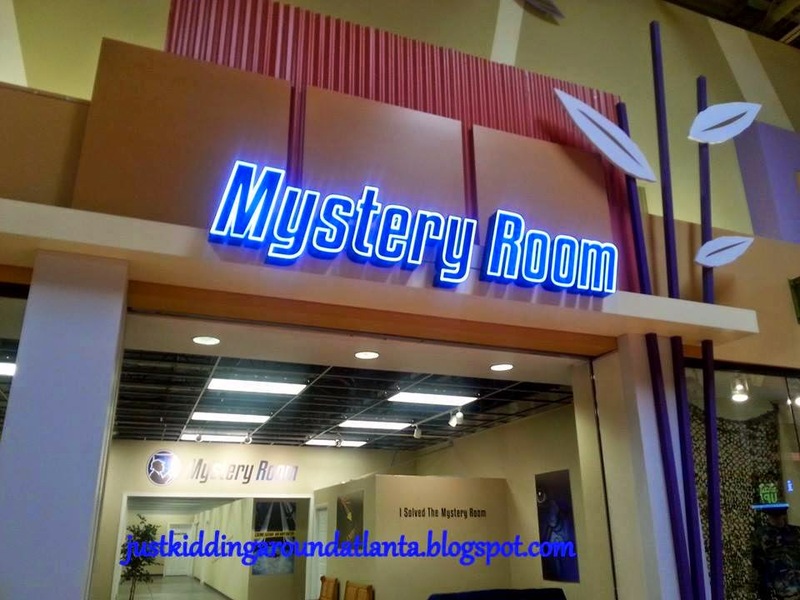 : Mystery Room is the best place for date night or family night! Mystery Room is the best place for date night or family night! 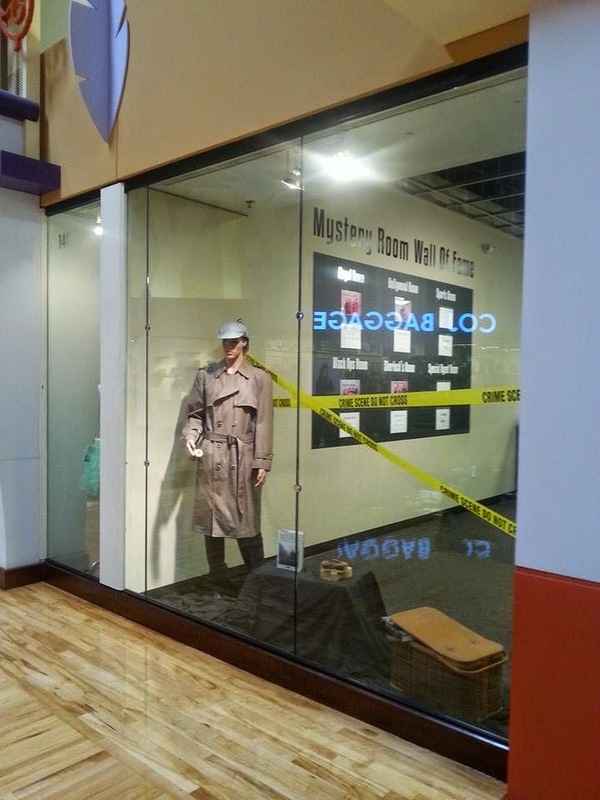 Mystery Room is a brand new, interactive real world detective adventure! 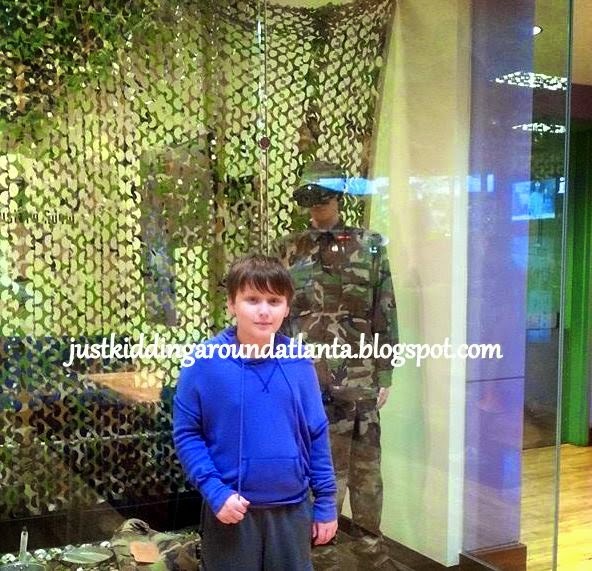 It's located inside Sugarloaf Mills (formerly Discover Mills) in Gwinnett County, right off I-85. You can either park and enter the Mall at Entrance 1, or go through Bass Pro Shop to get to Mystery Room . In our family, we like to play a few of those games on Facebook - you know, the ones where you have to escape from a room, or find hidden objects, solve a mystery or puzzle. Mystery Room is the real life version of those games! It didn't disappoint! It is a fun place to take your family (with kids, probably 10 and up is best), or your girlfriends for a fun and unique Girls Night Out, or even make it a double date with your best friend and her guy. It's such a great concept and so different from anything else you can do around here. Everything you need to solve the mystery is in each room - but you will have to work for it! This encourages teamwork, thinking outside the box, and it's a whole lot of fun, too. There are six rooms for you to choose from. 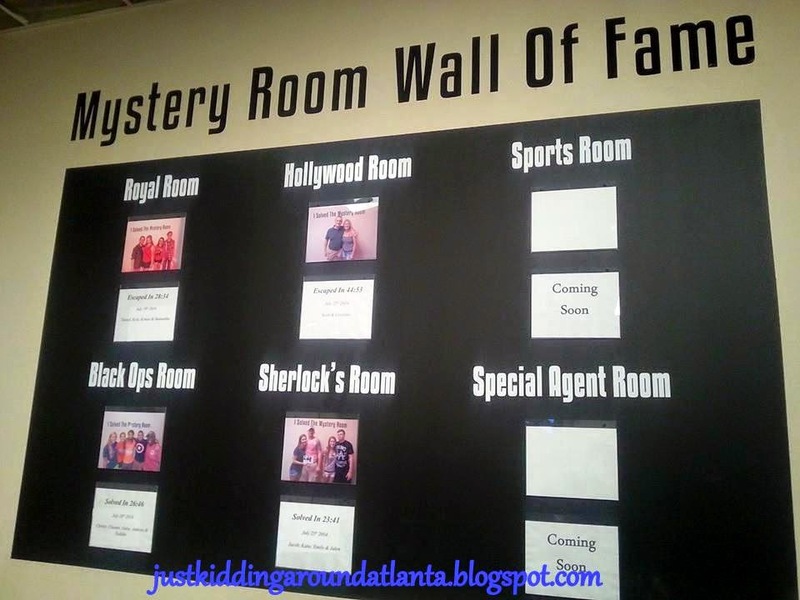 You can pick a Detective Room - Sherlock's Room, Special Agent Room and Black Ops Room, all hold up to 6 people; or an Escape Room - Hollywood Room & Royal Room both hold up to 10 people, and Sports Room which holds 6 people. Trust me when I say that you want to go with a group, and the bigger the better! In each room there is much to see, many clues to uncover, and codes to decipher. Oh, did I mention there is a lot to look at? It's not easy! So bring your friends or your kids and help each other solve the mysteries at Mystery Room. Everyone can work together looking for clues, and also bouncing ideas off of each other to figure out the mystery. Next time we visit it will be with more people - I think we could have defused that bomb for sure with one more person helping! David chose the Black Ops room for us and it was much more difficult than I expected! Not gonna lie - I thought we'd be able to solve it pretty fast! But once you begin, you have 45 minutes to solve the mystery, so there is no time to waste. There are definitely things in there to throw you off - it's very challenging trying to decide what is important and what isn't! My daughter got a little frustrated early on, but she rallied at the end! David was our helper, emptying things out and helping to sort through all of it, and writing down clues. The friendly and helpful staff at Mystery Room will let you know when you are about halfway through your time, and you can even buy a clue to help you out if you need to. Whatever you decide - just have FUN with it! If you are lucky enough to solve your room in the allotted 45 minutes, you will get your picture on the Wall of Fame! They change the rooms on a regular basis, so you can revisit every few weeks and solve a new mystery! It was a really fun experience for my kids and me, and all the way home we kept talking about the clues that threw us off, and that last one we missed. We are definitely going back and trying another room! 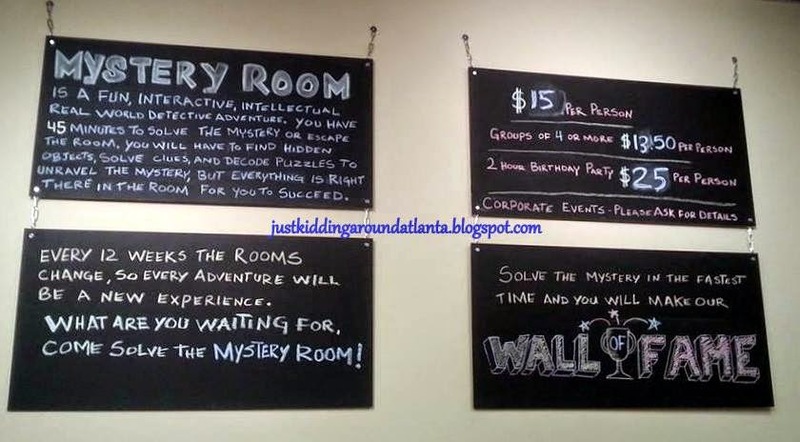 They offer Corporate Team Building Events & Birthday Parties at Mystery Room, as well. Mystery Room can be found online: Facebook, Twitter, Instagram & Trip Advisor. They are open 7 days a week, so get going and solve a mystery! 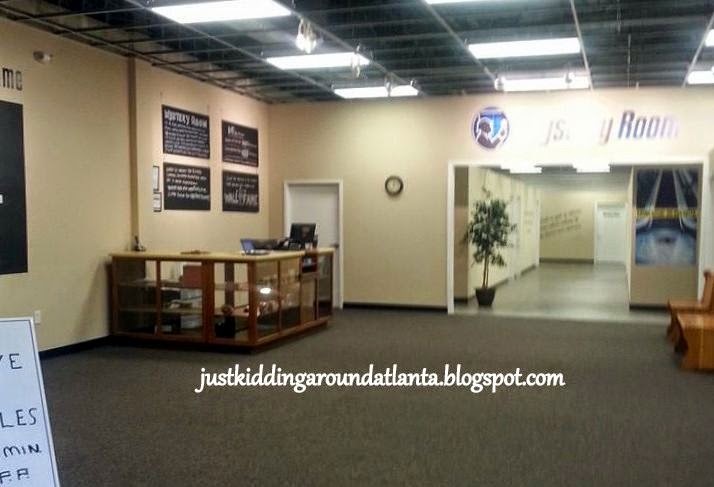 Tell them you heard about Mystery Room on Just Kidding Around Atlanta, please! Please share your experience in the comments if you've been - I want to hear what you think about the other rooms! (Trying to decide our next room to try!) Or tell me which one you plan to solve first! Disclaimer: We were given free admission to visit Mystery Room to facilitate this review. All opinions included in this review are my own. No other compensation was received. The girls and I were just at Sugarloaf Mills over the weekend but went to Daves & Busters. We'll need to check out Mystery Room. Thanks for the review! You are very welcome!! Really hope y'all enjoy it as much as we did - it was a different kind of experience! 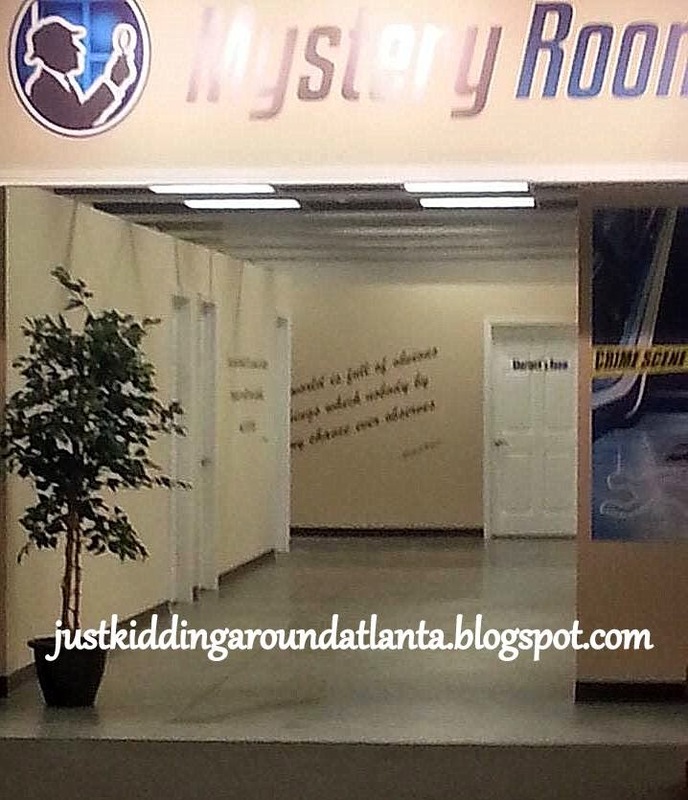 Nothing else like Mystery Room in Atlanta!